In 1879 John Muir went to Alaska for the first time. Its stupendous living glaciers aroused his unbounded interest, for they enabled him to verify his theories of glacial action. Again and again he returned to this continental laboratory of landscapes. The greatest of the tide-water glaciers appropriately commemorates his name. Upon this book of Alaska travels, all but finished before his unforeseen departure, John Muir expended the last months of his life. It was begun soon after his return from Africa in 1912. His eager leadership of the ill-fated campaign to save his beloved Hetch-Hetchy Valley from commercial destruction seriously interrupted his labors. Illness, also, interposed some checks as he worked with characteristic care and thoroughness through the great mass of Alaska notes that had accumulated under his hands for more than thirty years. The events recorded in this volume end in the middle of the trip of 1890. Muir's notes on the remainder of the journey have not been found, and it is idle to speculate how he would have concluded the volume if he had lived to complete it. 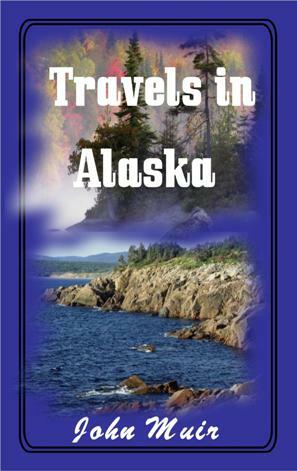 Read about the wonders of the beautiful land called Alaska! This 133 page PDF ebook comes with Master Resell Rights.